We are Established ourselves in this line since last 35 years, manufacturing and supplying various tires. We produce OTR tires for having mining and construction operation to handle most extreme conditions. Our earth movers tires are made to the higher quality standard for the most rugged job in all weather condition. Our Off The Road (OTR) Tyres can also perform in severe conditions because of its superior construction components like tire tread, carcass, strong sidewalls, bead etc. We also design our tyres in many patterns like rock, traction, block, rib and many more. Asha Rubber Industries has led to the development of high class quality service which can resist any weather condition. It also resists the tread crown area from cuts. Asha Rubber Tyres are specially designed to release heat from tire and the tire compound used is best for cut resistance. OTR tires have strong and multilayer casting. These tyres have heavy buttress shoulders which reduce sidewall damage in severe operating conditions. 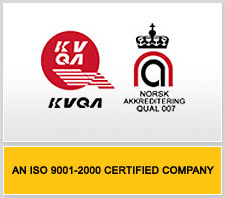 Our company Asha Rubber Industries is an ISO 9001-2000 certified company. Asha Rubber Industries is established in 1978 under the guidance of highly motivated and educated team. Under vast and rich experience dynamic leadership and with stringent quality control, we have earned distinguished reputation in India as well as abroad.